Drummer and singer/guitarist duos have seen a rise in popularity in the last decade, with The White Stripes, The Black Keys and, erm, The Ting Tings among the most prevalent in the field. From this perspective at least, Middle Class Rut may be treading old ground but that’s not to say that they can’t do so in some damn shiny shoes. No Name No Color marks the duo’s debut release, a collection of 12 songs composed and recorded over a four year period. 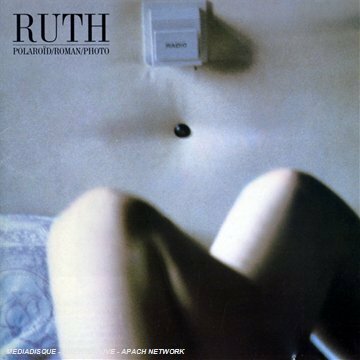 As a result, the album features more raw contrast than cohesive progression but this seems to suit the aggressive selection of tracks on offer here. Instrumentally, the band instantly draw comparisons to Rage Against The Machine: frontman and guitarist Zack Lopez’s use of octave effects serves to fill the low end usually occupied by the bass guitar, a technique which is more than reminiscent of Tom Morello’s hard-rocking pyrotechnics. The fact that Middle Class Rut are able to create such a colossal sound with so few instruments is testament to the band’s ingenuity and dedication to their craft; No Name No Color is simultaneously unrefined yet remarkably polished and highlights the pair’s unique approach to two-man performance. Opening tracks ‘Busy Bein’ Born’ and ‘USA’ demonstrate this with a groove worthy of early Jane’s Addiction, Lopez’s vocal melodies recalling Perry Farrell but delivered along the lines of Jesse Lacey. 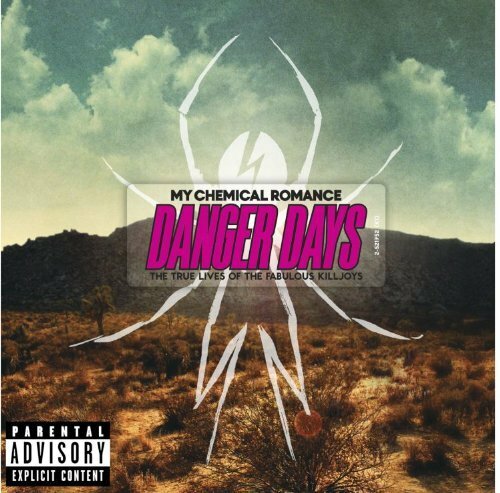 Taking just the right amount of influence from both old and new seems to have served the band well in creating their own unique brand of alternative rock and punk. As No Name No Color develops, Middle Class Rut continue to demonstrate their diversity, whether it’s the cowpunk of the suitably titled ‘Alive or Dead’, the Beastie Boys-esque ‘One Debt Away’ or the comparatively subdued ‘Are You On Your Way’. Perhaps the album’s most successful track is lead single ‘New Low’, showcasing the band’s distinctive blend of fierce riffery and catchy vocal hooks. While it starts off remarkably well, No Name No Color begins to lose momentum around the 30 minute mark. 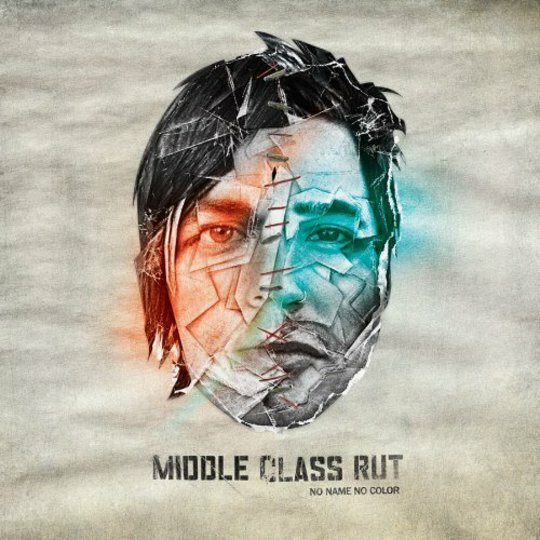 It is at this point that Middle Class Rut’s methods serve to both impress and frustrate in equal measure; while their commitment to live performance is commendable, it often limits the scope of their musical output. Although there is certainly interplay between guitar and drums throughout the album, there is only so much one can do with single-note riffs: it rests not only upon the input of other musicians but also the willingness to overdub in order to add some much-needed flavour to the proceedings. The latter half of No Name No Color feels disappointingly bare and even static in comparison to the energy and vibrancy that surrounds its opening half-hour. Nonetheless, Middle Class Rut have crafted a solid release that, while unlikely to set the world on fire, nonetheless makes for an impressive debut. The fact that the album fails to maintain its high momentum throughout indicates that this particular collection of songs may have been better suited to the shorter EP format, thus omitting much of the filler that dominates No Name No Color’s closing stages. Future releases, particularly if written and recorded in a shorter time frame, will no doubt rectify many of the issues with this first effort. Should Middle Class Rut choose to expand their musical palette, as The Black Keys have done in recent years, they may well prove to be a considerable force in the alternative rock arena.